When it comes to physical activity, it seems that almost every type requires a specific wardrobe. Stretchy yoga pants and tops for yoga class. Swimwear for swimming. Even most martial arts classes have their own uniform requirements. Tai Chi, however, is different. You don’t have to spend a lot of money on fancy new exercise clothing to feel comfortable or respectable participating in Tai Chi. In fact, you can really just attend a Tai Chi class wearing your own loose clothing. Tai Chi is basically meditation in motion. Its careful, focused movements and breath work is potentially beneficial to everything from anxiety to the cardiovascular system. It’s a highly accessible Chinese martial art; nearly everyone can feel confident participating in Tai Chi. When it comes to what to wear to your first class, you simply want to wear something that doesn’t restrict your movement. Sure, you’ve likely seen videos or pictures of Tai Chi participants in silky suits, and while you may eventually find yourself wanting to purchase such items as you continue your Tai Chi work, you certainly never have to buy a wardrobe specifically for Tai Chi. What About Tai Chi Footwear? While there are definitely people who perform Tai Chi barefoot or while wearing trainers, the one main, simple wardrobe piece I’d recommend for your Tai Chi classes is a pair of thin, cotton or cloth Tai Chi slippers. Why do I suggest this? Trainers can negatively impact the Tai Chi movements, inhibiting the natural flow of your body. Rubber sole and athletic slippers, meanwhile, can also either feel heavy or prevent you from making the proper transitions during Tai Chi. Athletic slippers tend to be overly expensive, too. Many people absolutely have solid opinions about exercising barefoot (a concept called earthing). They view shoes as a kind of prison for the foot, preventing it from “communicating,” so to speak, with the ground below. This is understandable, but it needn’t (and shouldn’t) feel imprisoning to wear Tai Chi slippers. Instead, your slippers should help support your movements and your connection to the earth by being extremely lightweight, durable, and malleable. Proper Tai Chi slippers will allow you to practise on all matter of surfaces, especially the outdoor surfaces, comfortably and safely, without giving you this feeling of entrapment. There are several varieties of Tai Chi slippers available on Amazon. Of course, it’s worth remembering that the exact size can’t always be guaranteed. You may have to try out different sizes of slippers to get the proper size that fits you. When buying Tai Chi slippers online, make note of the seller’s exchange policy (if not purchasing directly through Amazon), so that you can ensure the ability to exchange shoes for a better fit, if necessary. These are the top martial arts footwear shoes on Amazon, and for good reason. These casual shoes are a wonderful choice for Tai Chi classes, notably indoor classes. The sole is specifically designed to give you free range of movement, but still provide appropriate support during your Tai Chi practise. While they are marketed as men’s shoes, women have also selected these slippers. It seems that these particular shoes tend to be small in size, so you may want to try sizing up. If you prefer to try a rubber sole, these are a good option, particularly for outside Tai Chi classes. You’ll want to make sure, though, that you aren’t sacrificing your range of motion for the outdoor durability of the shoes. Ranked in the top 10 on Amazon, these cloth Tai Chi slippers are extremely well reviewed by customers. These comfortable shoes with a cotton sole are another popular choice for your Tai Chi practise. There is even a version of the Blitz shoe available for children. Meditative activities such as Tai Chi naturally make many participants want to connect with the world around them, particularly those who practise Tai Chi in outdoor environments. However, wearing light Tai Chi slippers improves the safety and comfort of your exercise and may even help with transitions — all without sacrificing the ground-foot connection. What are your thoughts on Tai Chi slippers? Do you have a favourite pair? Or, are you still a barefoot enthusiast? Chat with me in the comments below or on Facebook, where I offer more tips on holistic remedies, mindfulness, and stress reduction. I also offer a free, 15-minute phone conversation regarding my hypnotherapy sessions. Hypnotherapy is therapeutic treatment that has been shown to be effective for many of the same conditions that are also helped by Tai Chi, allowing you to tackle a condition with more than one therapy. Contact me by phone, email, or social media to learn more about how my services can help you to be your best self. Self-care is a bit of a buzz word these days. We hear more and more about the importance of taking time for one’s self, and what such a thing might entail. The truth is that self-care looks different for every person. For runners, in particular, it’s easy to think that the act of running is itself an act of self-care, and that’s certainly true. Some form of exercise is essential to our physical and mental wellbeing. Of course, runners find the activity to be a good conditioner for their bodies, but many also find the activity to be a great stress relief. 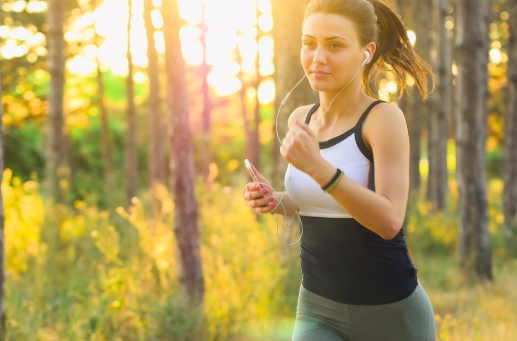 Running, however, can also be an intensive exercise, and runners (as well as all athletes) must take special care to prevent injury, recover from workouts, improve stamina, and stay in tune with themselves. This is where a different kind of self-care becomes valuable. Casual runners often find that running is an easy way to tire you out for sleep, but it’s actually quite common for regular runners, particularly during training, to experience insomnia. The reason for this isn’t entirely clear, but overtraining may play a possible role. You can help sleep come easier by running early in the day or evening, as opposed to an hour or two before bed. Make sure that you’re well-nourished and hydrated during your runs and throughout the day. If it’s stress that’s keeping you awake, come up with a routine to help you unwind. Reading a book, journaling your stresses, doing some restorative yoga, or participating in tai chi are all ways to help strengthen the mind and calm the body for a more restful sleep. You might also try having certain plants in the bedroom that are more likely to promote healthy sleep. While everyone is different, active runners should strive for at least the classic eight hours a night of quality sleep. Being well-rested will help your body to perform at its peak ability. Poor nutrition negatively affects your body and your performance as a runner. Carbs are discussed frequently around the time of a big race, but when planning for the big event, you want to be eating less-refined carbohydrates, like whole grain breads and wheat pastas, as opposed to refined carbohydrates that lead to blood sugar spikes. Lean meats, vegetables, fruits, nuts, and nut butters all provide the right balance of protein and fat that is particularly important during the recovery period post-run. Take it easy on the caffeine, however. While runners can and do enjoy their coffee and tea, too much caffeine can make it harder to get a restful sleep. There are many different injuries that affect runners, with iliotibial band syndrome being one of the most common. With IT band syndrome, the thick band of connective tissue that runs the length of your thigh down to your shin bone becomes tight, swelling with inflammation and pain. IT band syndrome is one of the most common causes of knee pain in runners, and it can come on in even the most experienced athletes. It’s especially common in athletes who suddenly get back into training after taking a break from running. To help guard against conditions like iliotibial band syndrome, there are a few things you can do. First, seriously consider regular massage. Massages aide in recovery and reduce inflammation. But, you don’t have to see a professional all of the time. You can invest in a foam roller (complete with instructional video) to regularly give yourself the kind of high-quality massage that is recommended by fellow runners and coaches alike. After using the foam roller, go ahead and indulge in a foot spa to further help your muscles recover. A run can be a fantastic opportunity to explore meditation and mindfulness, especially if you’re running outdoors. Use your runs as opportunities to let go of the endless thoughts and distractions that tend to gather throughout our days, and instead notice the leaves on the trees, or the feeling of your feet as they hit the pavement. You’ll be more present and more alert, as well as feel less stress and a refreshed mind. An excellent book that teaches you how to run more mindfully is Chi Running by Danny and Katherine Dreyer. It’s important to remember that proper fitness is more than just going for a run. Complete wellness, from quality sleep to proper nutrition and injury protection, are all essential to your health and wellbeing as a runner. Running, just like any exercise, should be apart of your complete picture of health. When this happens, you’ll reap more benefits from running than you ever could have imagined. Are you a runner? How do you practise self-care? Let me know on Facebook or in the comments below. 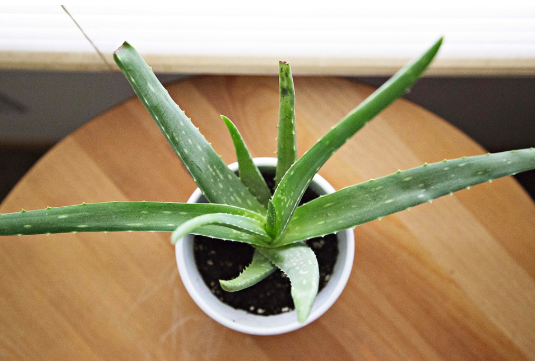 The succulent aloe vera plant is perhaps one of the most well-known medicinal plants, used to treat sunburns, soothe skin irritations, and even act as an antiseptic for minor cuts and abrasions. Nutritionally, aloe vera juice is quickly gaining popularity as a healthy beverage. Aloe vera has been said to be effective in aiding digestion and boosting immunity, along with carrying antioxidants and anti-inflammatory properties. Plus, aloe vera is an easy plant to grow at home, tolerant of most light and water conditions (although it prefers a bit of sun and infrequent watering). Mint is a fragrant, fast-growing plant that you may not have realised is quite the healer. There are many varieties of mint, from peppermint to spearmint, and all have health benefits. Peppermint is known for its ability to quell stomach upsets and headaches, while spearmint tea has been extensively studied for use in certain hormonal conditions. It also helps lower blood sugar and, yes, helps stop bad breath in its tracks by killing the offending bacteria. Some gardeners are hesitant to grow mint in their yards, as the herb has been known to take over gardens, but with a little careful planning, you can easily grow mint. The trick is to grow your mint in its own container, separate from the whole of your garden. Like aloe vera, mint is a tolerant plant; it will continue to grow under most any condition. Ginger is an extraordinary plant that has been used in ancient medicine for centuries. Ginger root, alongside honey and lemon, makes an immune boosting tea that is soothing for sore throats. Ginger tea is also healing for stomach upsets, and is particularly recommended in moderation for expectant mothers. Ginger is extremely versatile, serving as a tea, a spice, a candy, and an ingredient in a wealth of recipes. You can grow ginger in a garden, or you can pick up ginger in all of its forms at your local supermarket. Basil is likely in your spice rack right now, but there is so much more to this common food ingredient than as a dash of flavour. Basil is naturally antibacterial, which is perhaps one of the reasons it came to be so commonly used in meals. Basil also contains phytochemicals, compounds found naturally in plants that are thought to help protect cells from damages leading to cancer. Basil, like ginger, may be a little more difficult than other plants to grow at home, unless you have a proper garden or area for growing. But, then, basil is also an easy store find. Echinacea is a beautiful composite flower plant that, like ginger, makes an immune boosting tea that can be easily paired with honey, lemon, and even mint. Echinacea has long been a popular cold and flu remedy, as well as a medicinal herb for general immune support. Echinacea as a plant often eludes gardeners. It seems to be here one minute, and then gone the next. However, if you have the means, growing echinacea provides an exciting challenge, and the plant is beneficial not only to humans — it is beloved by bees and butterflies, too. Hibiscus is a beautiful plant reminiscent of something you’d see on a summer holiday, but it isn’t just a pretty plant. Hibiscus has long been observed for its ability to lower blood pressure, improve cholesterol profiles, provide natural antioxidants and cancer-fighting polyphenols, as well as fight bacteria. The most common way to take hibiscus is probably as a flavourful, refreshing tea that has a floral, berry-like taste. There are a couple of varieties of hibiscus, one of which wouldn’t be particularly easy to grow in Britain, thanks to our tough winters. The hibiscus syriacus variety (known in some places simply as common hibiscus), however, is a stunning plant for any garden and a great deal hardier than its counterpart. Give the tea a try before you grow by ordering hibiscus tea at places like Ocado or Amazon. Camomile is perhaps most famous for its use as a calming herbal tea that soothes the mind. This healing plant has other uses, too, though, from treating skin conditions to easing insomnia. Regularly drinking camomile in tea form has even been shown to potentially help manage diabetes. Camomile is a vibrant plant to grow, and camomile beverages have a bright, unmistakable yellow colour with a lightly aromatic fragrance. This is an extremely soothing plant. You may be surprised to see this plant on the list, as orchids aren’t routinely talked about in medical circles like ginger or camomile plants, but they do have a rich history in traditional Chinese medicine. In China, orchids are regularly used to make teas and relaxing essential oils. Orchids are also naturally wonderful air purifiers, and terrific plants to have in the house to help the air quality. Another popular herb, it might be easier to ask what rosemary doesn’t do than what it does, as rosemary has been associated with cancer prevention, brain and eye health, less inflammation, greater antioxidant activity, pain relief, and even longer hair! Related to mint, rosemary can easily be grown in a large container and is tough enough to last for many years. Milk thistle is a powerful plant when it comes to controlling diabetes and possibly even maintaining or regaining liver health. Silymarin, the main ingredient in milk thistle, is believed to be a major player in its healing effects. It’s also being studied in cancer research. Milk thistle is most commonly taken as a capsule, but it can be crafted into a kind of tea, as well. What is your favourite healing plant? Have you tried a hibiscus or camomile beverage? Let me know what you thought in the comments below, or on Facebook, where I share more easy, unique ways to enhance your wellbeing.